Lorraine Paton: Almost at "The End"
I'm nearing the end of revisions and edits on Annie's Christmas Plan. 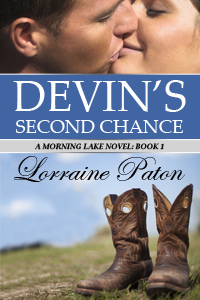 It is the second book in my Morning Lake series. This week I've been reviewing the scenes where Devin and Claire, the couple from Devin's Second Chance (Book 1), return for a special appearance. It is so much fun to see this couple in action again and see how their life together is turning out! Ah, Devin--*sigh*--I mean how can you not love a man who tells his love, "You humble me"? I can't wait to share Annie and Quinn's story with you soon, so you can check in on Devin and Claire, too!